Do not let this amazing investment property slide by! Property is tenant occupied and paying $1,000/mo.! 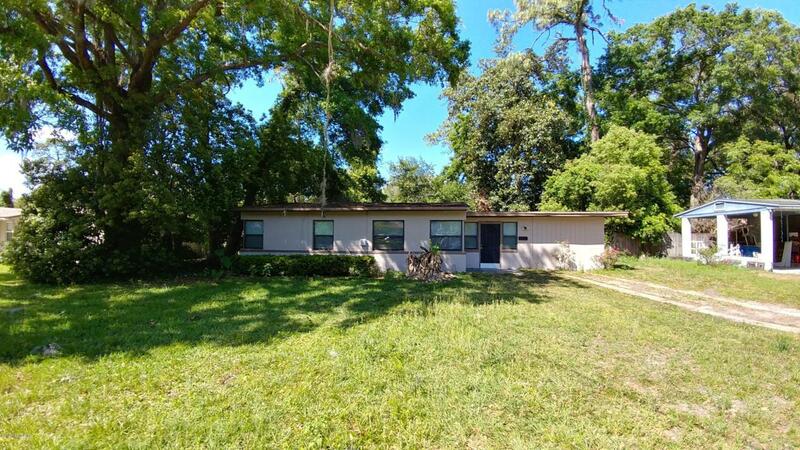 Property is minutes away from JU and walking distance to St Johns river and a boat launch perfect for boaters and those who enjoy being near the water. Home resides in a great location with easy access to interstates. This concrete block single family home has 1,204 sq. ft. and features three bedrooms and two bathrooms. Kitchen has a breakfast bar and the living area is open and spacious! Hardwood floors in living area, carpets in two of the three bedrooms, and entrance room has tile flooring. The rear fenced in yard has plenty of space for the family and pet(s) to enjoy. Act now and BRING AN OFFER!